Yeah have to agree. Pulls harder, gear changes better, Launches are ******* quick! jolts my head right back and just trying to work out of the box and Bluetooth will give me a time! . The TCU+ flash provides gearbox tuning to increase the performance and drivability of any automatic geared vehicle. No PC, laptop or internet connection required, simply plug in through the vehicle diagnostic port (OBD). Enhances the performance of your engine & gearbox by increasing torque limits and altering the gearbox TCU settings. The device uploads the new settings within 30-90 seconds and will not add a count to the ECU flash counter, programming is started and completed with audible beep sounds and an LED, it is also not dealer traceable. Can be used as many times as required on the first vehicle its connected to, if the dealer flashes new software to the car during a service you can simply reuse the device again. The TCU+ Gearbox Flash installation guide. 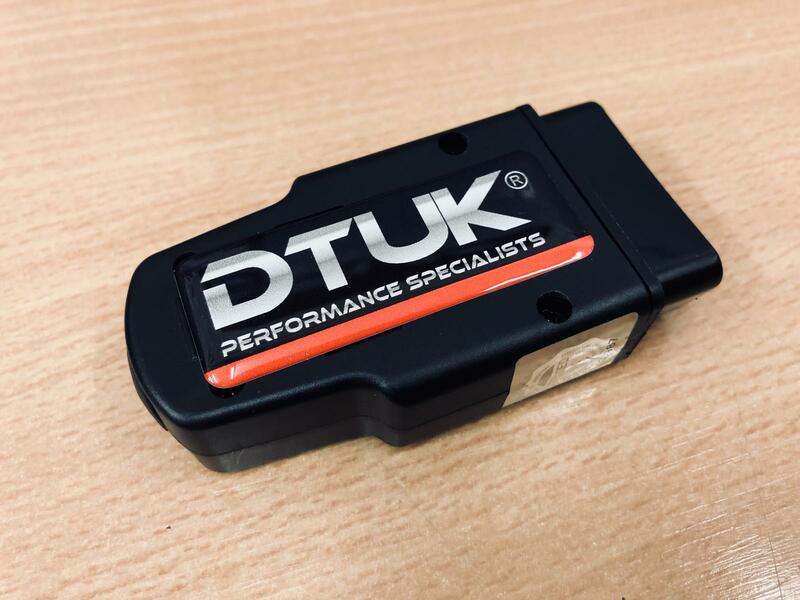 The TCU+ Gearbox Flash is an OBD flash tool that not only unlocks manufacturer’s transmission settings within the vehicles ECU to give smoother and quicker gear shifts, increased torque and performance. It also now provides an adaptation reset as standard which helps you get the most from your car. This provides an essential tool in your vehicle’s modifications journey. The TCU+ Gearbox Flash has three functional requirements. The need to improve and optimize the gear shift speeds and modify torque settings in the modern automatic gearing systems to improve the overall driving experience. The need to create a simple to use Plug n Play OBD solution which is easy to install and at an affordable price. Provide the end user with a tool that allows the vehicles adaptation settings to be reset to factory, simply and efficiently. The all-new TCU+ Flash Tool integrates with the vehicle’s onboard communications network via OBD to access the ECU, TCU and Convenience modules to adjust/reset the shift strategies within the OEM control components to “point” or “re address” these strategies to the best and most optimal settings. This includes changing the transmission shift speed pointer to a faster/different setting. The internal components that make up the mechanics of the transmission have a wide range of tolerance and multiple settings allowing manufacturers in most cases to use single components across a wide range of vehicles allowing them to reduce production costs across the group. They all contain similar if not the same generation components, usually built in the same factory, but have model specific software strategies that are used for their specific application. Over time your vehicle may have adapted to a slower shift due to a previous owner driving style or the way the vehicle has been driven over time. Unique to the new TCU+ Tool we have added the extra function of resetting this to provide a ‘Clean slate’ install. This is an essential step when modifying or tuning as it gives the user a factory clean reference point and base line. What’s all the Torque About? Torque Limits are also set in various systems and control modules within the vehicle; this is set by the manufacturer and is one of the easy ways to electronically limit power in certain models of vehicles. This allows the manufacturer to release many different power variants with different driving characteristics with only a single engine. This is a much more cost-effective way of creating a vehicle range without the need to manufacture multiple engines at different power levels. We all know how many power variants are available for the VW Golf 2.0TDi for example. Same engine different software settings. The New TCU+ Releases Lost Power. By simply unlocking, resetting and amending the torque settings to the various other manufacturers settings we can allow the vehicle to produce and deliver power safely and still stay within the manufacturers specified limits. This style of ‘derestricting’ ensures that key settings such as clamping force, slip, torque limits, shift speeds etc. all remain within not only manufacturers spec, but also component spec, thus never exceeding safe operating tolerances or shortening component life. How do I Install the new TCU+ Tool? The new TCU Flash device is a simple Plug in OBD Flash unit. Plug the unit into the OBD port, wait for the procedure to complete and then remove from the OBD slot, it really is that Simple! Once installed the tool is then locked to that vehicles VIN (Vehicle Identity Number), which can be flashed multiple time to refresh the upgrade if it has been erased by the Main dealer or Manufacturer. Switch ‘ON’ ignition, but do not start engine. Ensure dashboard/ignition lights are illuminated. Locate OBD port (on board diagnostic plug) usually located in the driver side foot well. With the ignition still in the ‘ON’ position (engine NOT started) insert the flash tool into the socket. You should hear an audible beep and the LED will illuminate. The tool is now active and has begun to program. Once the upgrade is complete the unit will begin to beep constantly confirming the process has completed successfully and the LED will switch OFF. IMPORTANT – Start the engine by turning the key only. DO NOT PRESS GAS/Throttle/ Accelerator Pedal and allow to idle for 5 mins. On some vehicles you may hear the engine hunt/rev in this time, then eventually settle. After 5 mins of idle you can now drive the vehicle using the full rev range and, in all gears, and modes, in both sport and manual. The vehicle will now begin the adaption phase and adjust to the new upgrade. This phase can take anything form 10 – 100+ miles depending on vehicle. Once complete the vehicle will feel sharper and more responsive. cuke2u, Jud and Daggerit like this. Had one of these since Thursday evening, installation is simple & straight forward, so far only managed 40 miles (been working) so its still in its learning phase, Gear changes are so some much smoother round town & low revs, so quick when they need to be would definitely recommend it. Just wondering if there would be much benefit to running this on a 1.6L TDI? It's got such little power I'm not really sure if this would really benefit it at all. It’s not even so much about power to be honest, it’s more about the drivability. If there’s qualities you don’t like in an s-tronic or tiptronic box from Audi you’ll appreciate the tune I’d say. Thanks for the info. I can't say I dislike the drivability of the car but I do believe there's room for improvement. I'm limited to what I can do to the car by insurance but this seems like something that I could get away with. I'll have to see what others say about it. Ok so far I've done 65 miles worth of running in on the TCU, some round town, some A-road and even some efficient mode, gear changes are far quicker & smoother, tonight I've changed to map mode 1-3 and I think it's the best my car has ever felt so quick on the change, why don't Audi sell them like this? Daggerit and q5man like this. Hey Jud, that sounds great... I have a 2018 S3 and I ordered one of these TCU+ flash units from Andrew yesterday. My car will remain stock apart from the TCU+ flash... Do you still get the normal exhaust pops / farts using this OBD flash unit? some more feedback. this time from Golf R owners..
My car: Mk7 R JB4 complete Stage 2. I’ll be waiting for the advised hard run in on 100 miles before I make my final conclusion. Car definitely shifts much faster! Can feel the torque even more. Has drastically lessened the lag I’d get coming out of a side road full throttle onto a main road. The thing just flys now!! Yeah, I would say it’s made a big difference to the car. The torque form the car is amazing. Gear shifts are defiantly quicker and the launch control am getting now is very impressive. Probably the best thing I have done to the car yet I would say. cuke2u and q5man like this.